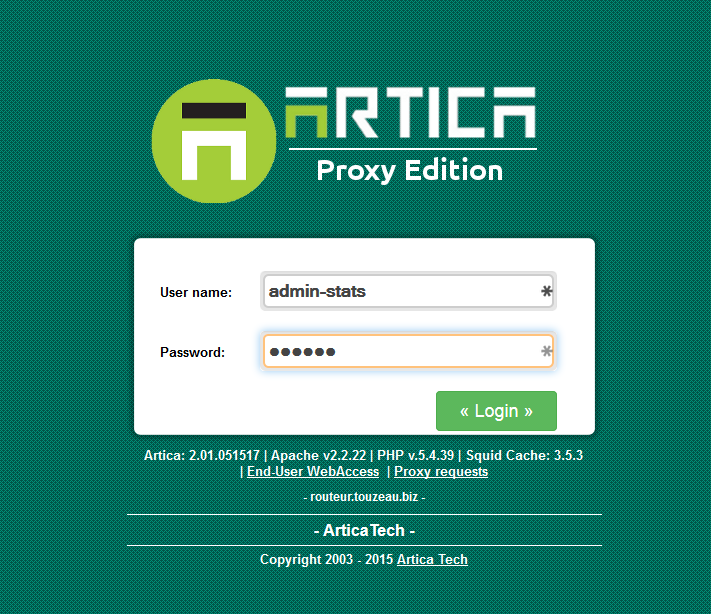 With Artica you can restrict access to some features using Accounts. Click on “Members” on the top menu. 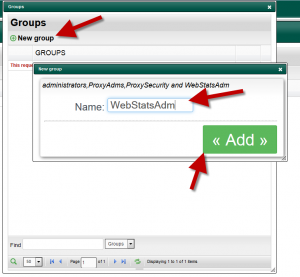 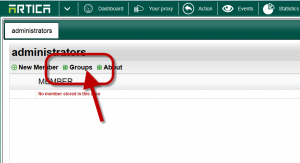 On the table, click on Groups button. On the main table, click on “New member” button. Logoff and use the new account to login. 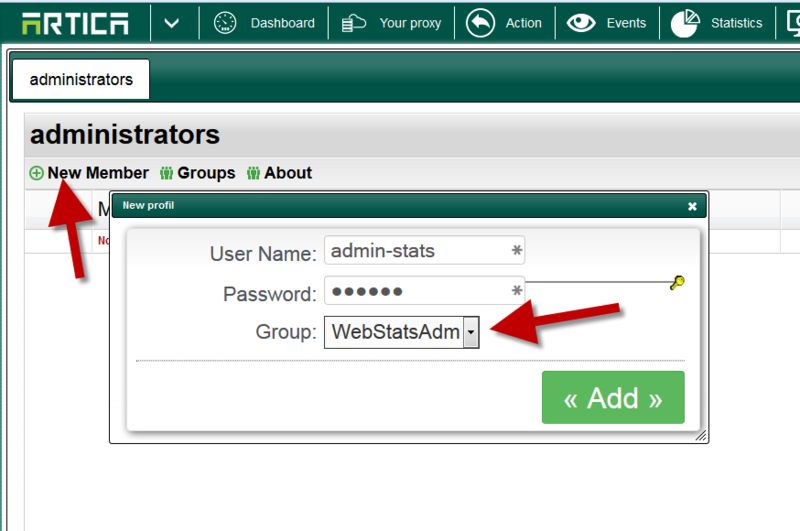 ← Did my proxy cache something ?